Baahubali Prabhas, Shraddha Kapoor, Saaho & Maharashtra! Guess What - Odisha Television Ltd.
How to lose weight’ is the Holy Grail of Google Search. Aditri Jain will tell you that. The Mumbai-based dietitian had her own weight issues. Trial and error with various diet programmes piled on the kilos rather than helping her lose the flab. It was only when she attended a seminar on nutrigenomics and nutrigenetics that she realised that the reason could be that her DNA was the truant. She went in for comprehensive tests and sure enough the results revealed her sensitivity to various macronutrients, intolerances to certain foods, lifestyle diseases and much more. “Our on-board dietician gathered the information on her food habits, quantities, ratio, calories and she was put on a protein-rich diet. With regular follow-ups, she finally managed to lose weight,” says Milind Doshi, CEO of Mumbai-based Nutritional Genomix. Anyone huffing along the weight loss path must remember that there are no magic foods or pills to zap the fat away. No superfoods will help alter your genetic code and definitely no products will miraculously melt fat while you watch TV or sleep, as alluring as the concept may seem. Also, if you lose weight quickly, you’ll end up losing muscle, bone and water. And the moment you are off your diet plan, you will be more likely to regain the pounds… if not more. If that does not put you off, also know that some ingredients in so-called miracle supplements and herbal products can be dangerous and even deadly. But despite all this there are quite a few of us happily lapping up the next fad diet on the horizon, which almost always emerges in the West with celebrities becoming the brand ambassadors for the next best go-to diet regime. By the time these trends move to India and such other countries, the West is already endorsing the next weird diet. Sample this: Jennifer Aniston and Reese Witherspoon swear by the Baby Food Diet. More suited for toothless babies—they believe eating mashed and puréed foods curbs cravings and promises weight loss. Before Kim Kardashian became the most photographed celebrity on planet earth, her go-to diet was the wonderful-sounding Cookie Diet. Not to be outdone, Beyoncé follows a liquid and laxative diet to drop pounds quickly. Weird as it may sound, her 14-day regime consists of a diet of fresh lemon juice, maple syrup, cayenne, and water (plus a laxative in the morning and at night). In case you want to give it a shot, make sure you stay close to a bathroom. And celebrities are still raving about the virtues of the Keto diet, Paleo diet, Mediterranean diet and the Intermittent Fasting diet.So what are the diet fads that are in fashion now? Which is that one diet that can promise us the perfect natural Instagrammable click with maybe just a touch of six or seven-odd filters? Let’s forage. Invented by Dr Barbara Rolls, this diet talks about increasing the energy density of food/meal. 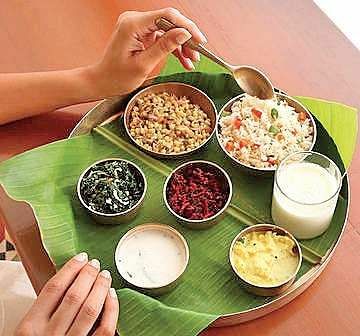 One can consume the food items having higher volume of fibre, water and less of calories in them. These include vegetables, fruits, whole grains, lean meats, beans, low fat dairy products etc. This diet has physical activity as a prerequisite along with maintaining a food diary. 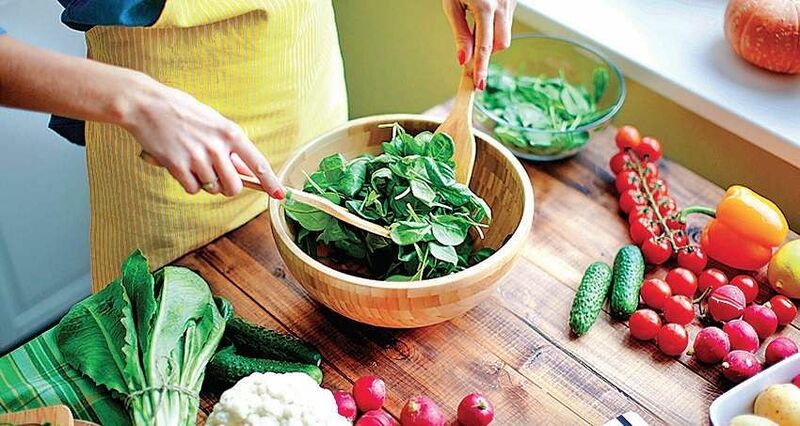 As the name suggests, this type of diet encourages increased intake of plant-based food items and moderating the consumption of animal products, making it different from simple vegetarian or vegan diet. The diet provides a flexible window for those who do not want to give up on non-vegetarian food completely. It is more of a lifestyle modification rather that a dietary pattern. This diet discourages consumption of processed foods, refined carbohydrates, fast food and added sugar or sweets. It is a combination of two diets—Mediterranean diet and DASH (dietary approach to stop hypertension) diet. This diet focuses on improving the mental health as well as the heart health of the consumer and is also known to delay the onset of Alzheimer’s disease. It encourages the intake of whole grains, beans, berries, nuts, green leafy vegetables, fish, poultry, olive oil etc, and limit the intake of red, saturated fats, cheese, sweets, fried, fast foods etc. What makes it different from the regular Mediterranean diet is that it recommends eating certain foods at certain frequencies such as eating at least six servings of green leafy vegetables, two servings of berries, five servings of nuts, more than three meals of beans in a week along with three servings of whole grains in a day and using olive oil as the primary source for cooking. This diet originates from the Scandinavian regions and is quite similar to Mediterranean diet, which encourages eating whole grains, lean meat, vegetables, fruits, nuts etc. But Nordic diet encourages intake of canola oil while Mediterranean diet requires olive oil. It also stresses eating seasonal locally grown foods along with focussing majorly on local fish, which are found in plenty. The ideal meal in a Nordic diet is composed of a 2:1 ratio of carbohydrates to protein. Dean Ornish invented the Ornish diet, which is similar to vegan diet but the fat intake is completely restricted. As per the guidelines, one can consume a large amount of whole grains, fruits and vegetables along with low or non-fat dairy along with fat contributing to less than 10 percent of the calories. It advocates avoiding red meat, full-fat dairy and even poultry, besides products that contain oils like nuts, avocado etc. Also, a minimum of 30 minutes of physical activity is advised along with yoga and meditation. A vegetarian version of the famous Atkins diet, it suggests a high-protein low-carbohydrate diet but instead of non-vegetarian sources, the protein is derived from plant sources such as soy, beans, legumes and non-starchy gluten. The major difference between the regular Atkins and Eco-Atkins is that the former allows only 10 percent of calories coming from carbohydrates, while the latter allows 31 percent of calories from carbohydrates, 26 percent from plant protein and 43 percent from plant fat sources such as nuts, avocados and soy. This diet restricts starchy vegetables and refined cereals. Based on Vedas or ayurveda, it believes that our body is composed of the five elements—space, air, water, fire and earth and three doshas: vata (air), pitta (fire) and kapha (water). All the three doshas are present in the body but there is only one dominant dosha known as prakriti, the secondary dosha and the third dosha have minimum effect on our body. Imbalance of any dosha can lead to diseases associated with it. When a person eats according to their prakriti and maintains a balance between all the three doshas, a healthy life is guaranteed. This diet is not based on the concept of calorie counting but on eating as per your body’s constitution. It promotes consumption of a high-fibre diet rich in whole grains and proteins. Since you eat as per your constitution, future medical issues can be avoided. Also, it is therapeutic in nature which helps in resolving existing medical issues. There are plenty of celebs who are fans of the 5-factor diet. Fitness expert Harley Pasternak is famous for starting this diet trend. Essentially, every meal should contain just five components: protein, complex carbs, fibre, fat, and fluids. Everyone following the plan should allow themselves five meals per day with just five ingredients each. This fad diet reminds many of Atkins. Dr Pierre Dukan, a French general practitioner, created the diet. It consists of meals that are high-protein and low-carb. There are four phases of the diet: The first two are when you’ll lose the most weight, and the last two are designed for long-term maintenance. Avoid food and nutrition information or advice that promotes ‘certain’ foods and bans others. The body needs all important food groups in varying proportions. One size doesn’t fit all. So what may work for A may not work for B; pick and choose wisely.